The TMJ located just below your ear and acts as the hinge point for the upper and lower parts of your jaw. It’s a dynamic joint that allows for vertical, horizontal and side-to-side movement. Whenever you talk, chew gum, eat food or even yawn, the TMJ is involved in facilitating the movement. 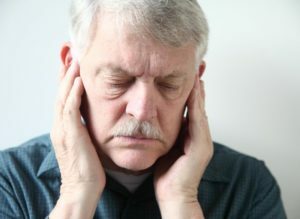 The bones that interact with the TMJ joint are covered with cartilage that allow for the multi-directional movement, and they are separated by a small disk that normally makes the action smooth. Because the TMJ is constantly activated, it can become worn over time. If the disk becomes damaged, the result can be painful inflammation. Equilibration / Occlusal Adjustments – This procedure involves your dentist slightly reshaping your teeth to allow them to meet in a more functional manner. This means less pressure will be placed on the TMJ. Occlusal Splints – This oral appliance helps to place the jaw in proper alignment. Worn at night, it also helps to prevent harmful teeth grinding that sometimes occurs with people suffering from TMJ disorder. One of the benefits of working with a competent dentist who offers comprehensive care is that you don’t have to go to a specialist to have your TMJ examined, diagnosed and treated. All the three aspects of the process can be done in-house. So to correct your nagging jaw pain and prevent serious issues, reach out today to schedule an appointment. Dr. Joy Todd earned her Doctor of Dental Medicine degree from the University of Kentucky, and for the past 15 years, she’s been providing the community she grew up in with expert care. She offers comprehensive care, which includes TMJ therapy, at Anderson Family Dental. Dr. Todd can be reached for more information through her website.